The Dutch Admiraal family has been running a car business dedicated to modern and classic BMW’s for many years now. 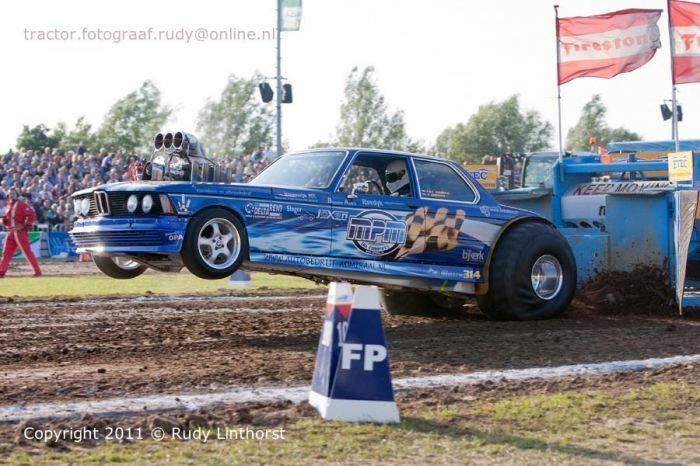 In 2003, the converted their 1979 four cilinder to compete in pulling races. Pictures of the original car at the bottom of this page. But this is what this awesome competition winning car looks these days! Based on that very same E21 the car now has a custom tubular chassis, a Ford Racing SVO 518ci / 8500 cc engine with a SSI 14-71 hi-helix blower that is expected to turn out about 2,000 BHP in the 2012 setup! The rear axle is based on a truck axle.